A member of the Valley Lodge Trail Ride crosses over a highway overpass. In many ways, Fulshear is at an intersection of what was, is, and can be. 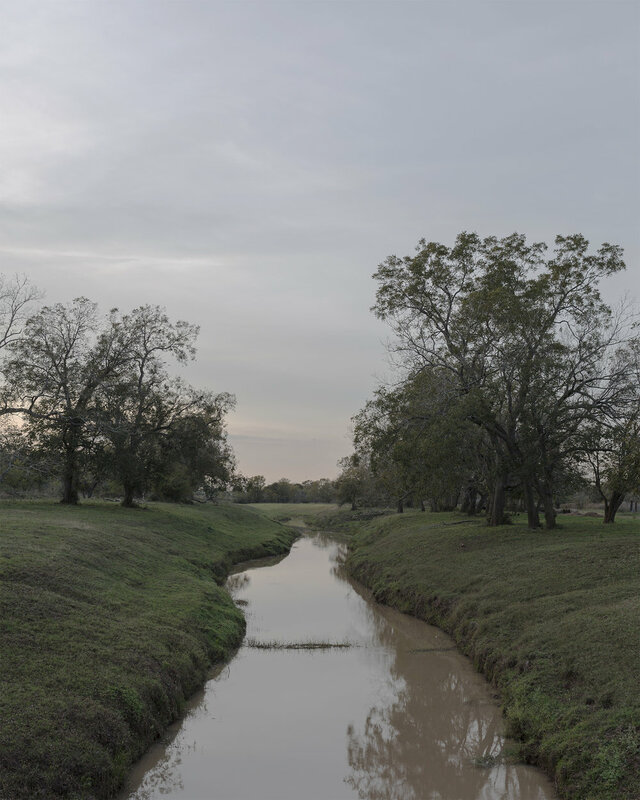 Master-plan housing communities have replaced vast prairies, where crops sprouted and cattle once grazed, in Fulshear, Texas. With a population of just 1,134 individuals in 2010, the town west of Houston has grown over 2,000 percent in under a decade. “Nothing ever stays the same,” Joe Dozier said. A Fulshear native, he lived in the town most of his life, but moved away to a nearby city when the area’s development began impacting his memories. A mural hangs above the bookshelves of my childhood elementary school, depicting the landscape of what Fulshear once was. The reality of what this town is today is much different. With each new road finished, house built, or pile of dirt removed, memories of myself and the other residents who spent their lives in Fulshear have eroded. Houses started appear out of what seemed like nowhere. We were no longer a small town. We were an up-and-coming city. The walls of Dozier’s Grocery and Market, a barbecue restaurant and smokehouse opened since 1957, have withstood the transformation. West of downtown, remnants of the past can be seen. Pecan trees stand tall. Memories of riding horses, wandering the woods, and witnessing the capability of nature is evident. East of downtown Fulshear, with trees that are strategically plotted, the control that nature once had over the Texas prairie is now overwhelmed with a suburban landscape. Isabel Levy makes and espresso drink at a local cafe, as I once did the same. The majority of individuals who grew up in Fulshear have chosen to move away, taking the town's history with them. Replacing them are individuals and families wanting a quiet, country lifestyle. Only very early in the morning or late at night do the streets of my childhood looks the same. It is here, at this time and in moments like these, where my memories remain.